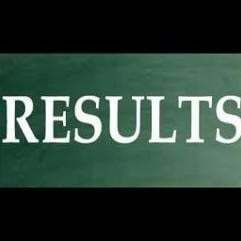 CU UG Result 2018 update: Calcutta University (CU) has released the results of both BA and BSc Honours/ Major Part 1 examination 2018 on November 29. While the unversity has released the results online, students can access the results on the CU's official website, wbresults.nic.in. Step 1: Open the official wbresults.nic.in. Step 2: Click on the relevant result link. Calcutta university conducted theoretical exams for BA / B.Sc Part I Hons under 1+1+1 system and also BA / B.Sc Part I Hons under 1+1+1 system from May 30, 2018. BA / B.Sc General (under 1+1+1 system) exams was held from June 8, 2018. Practical examination for BA / B.Sc Part I Hons and Major commenced on May 10, 2018 and ended on May 26, 2018. Calcutta University has declared BA, BSc Part 1 Exam results. The univedrsity has announced the results online. Students can access their results on wbresults.nic.in. The entire team of My Result Plus wishes best of luck to all the students for their CU UG results.